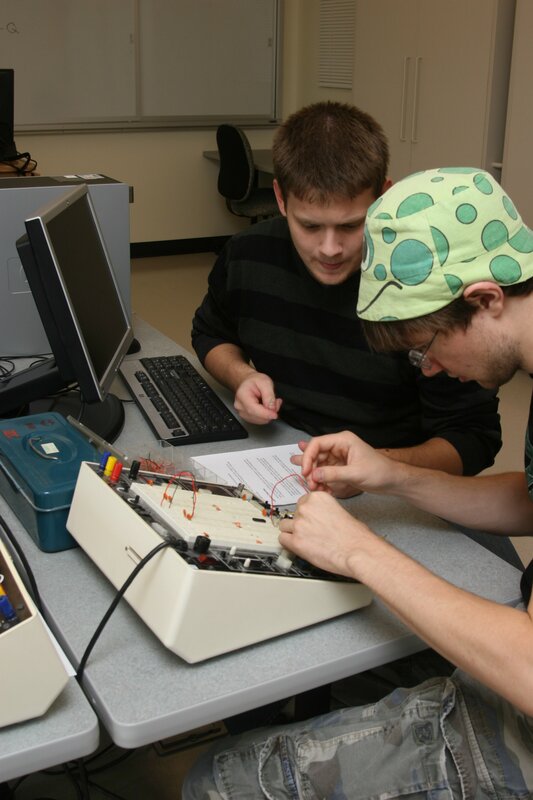 Departmental facilities include an introductory teaching lab and an open lab with a connecting door between. 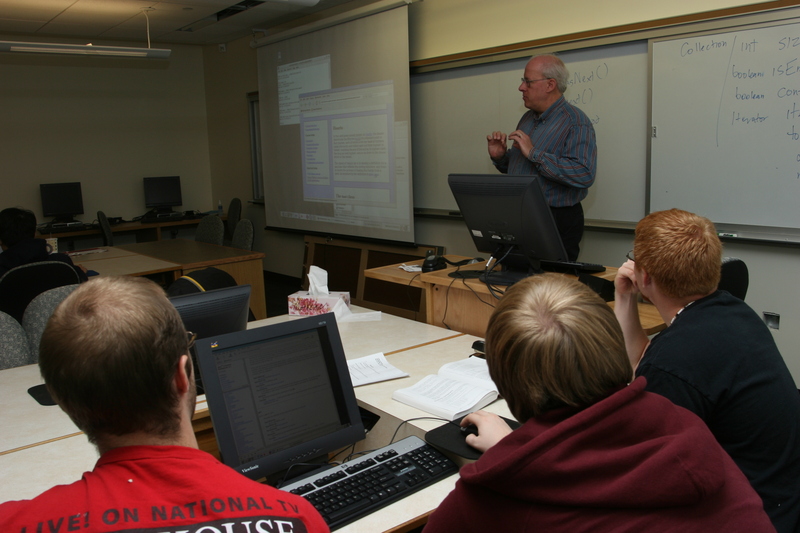 Since introductory CS courses often follow a lab-based format that emphasizes collaborative learning, these courses meet in our introductory teaching lab. 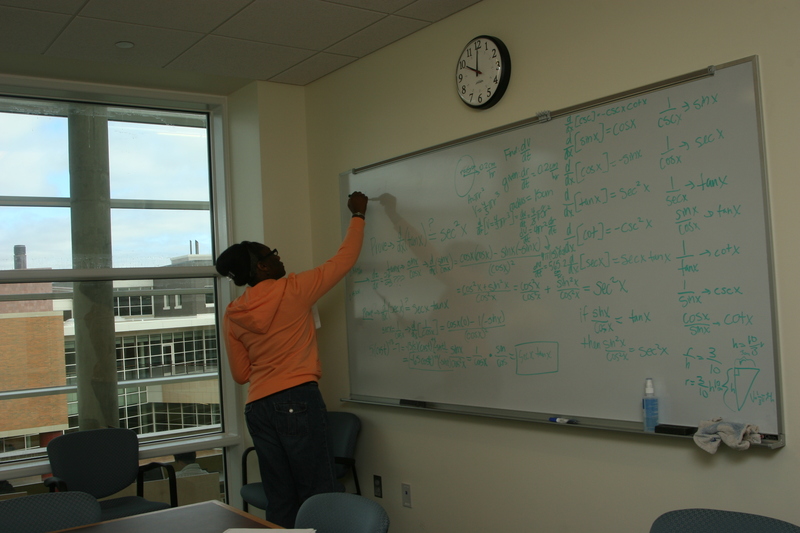 During whole-group discussions, an instructor may use white boards and projection equipment to consider concepts, review programs, and highlight approaches. 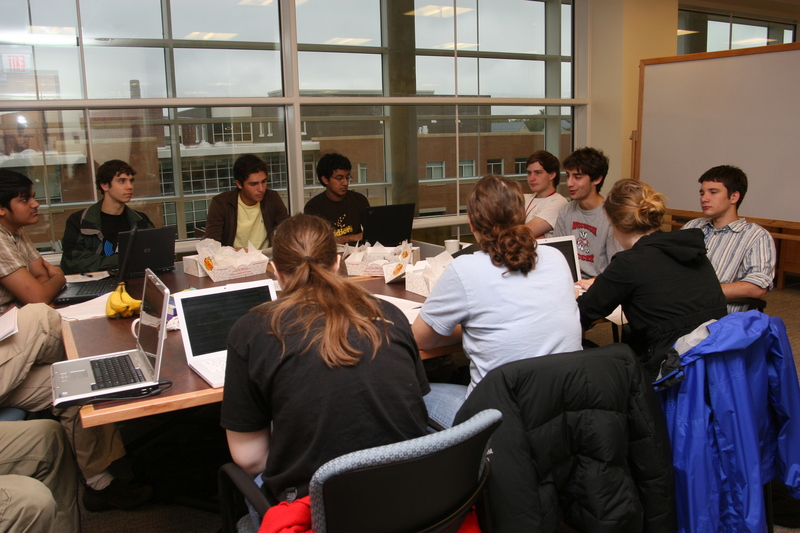 Students gather in groups of two (occasionally three) at workstations; monitors are recessed to provide easy sight lines to all parts of the room. 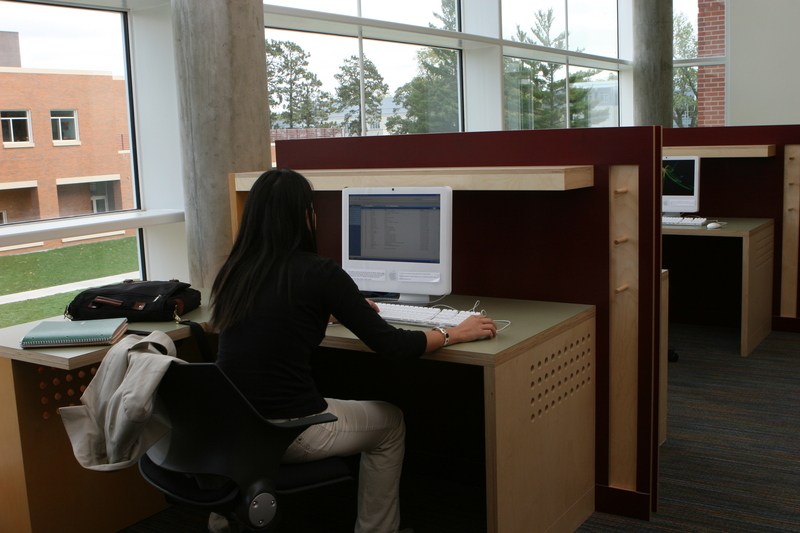 During small-group collaborations, desks with workstations provide considerable room for discussion and interaction. 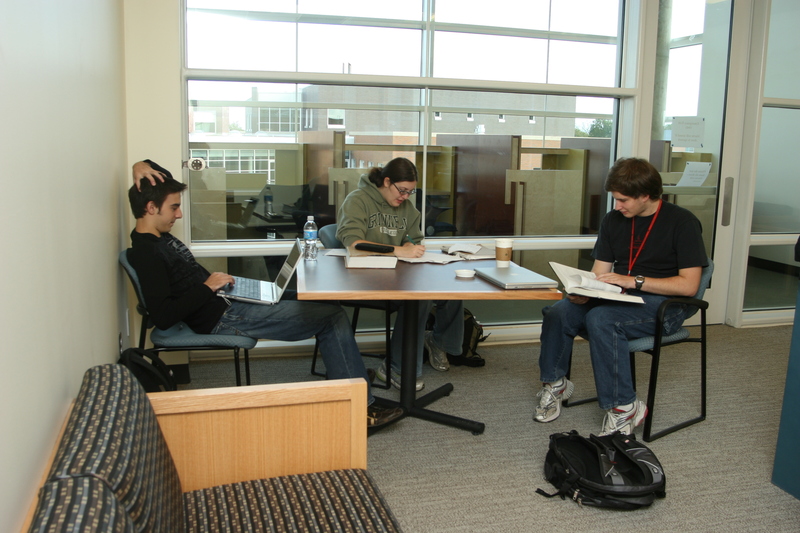 Wide aisles allow an instructor to circulate easily among groups during collaborative exercises. 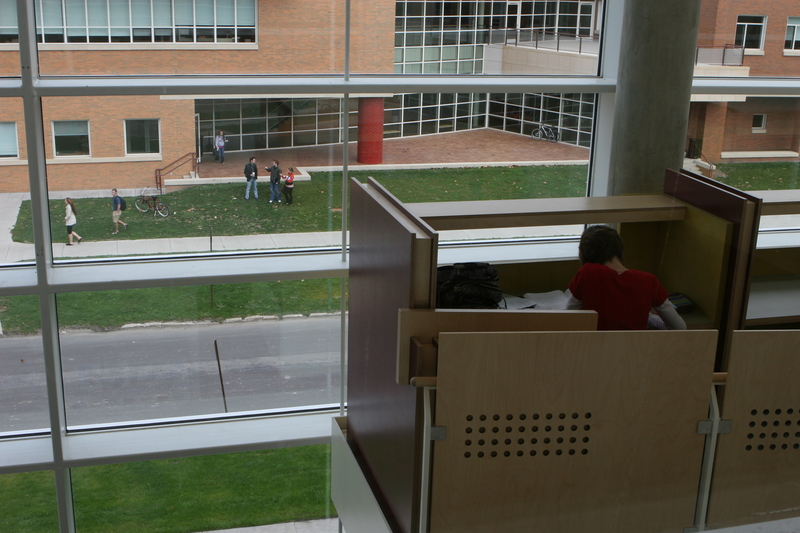 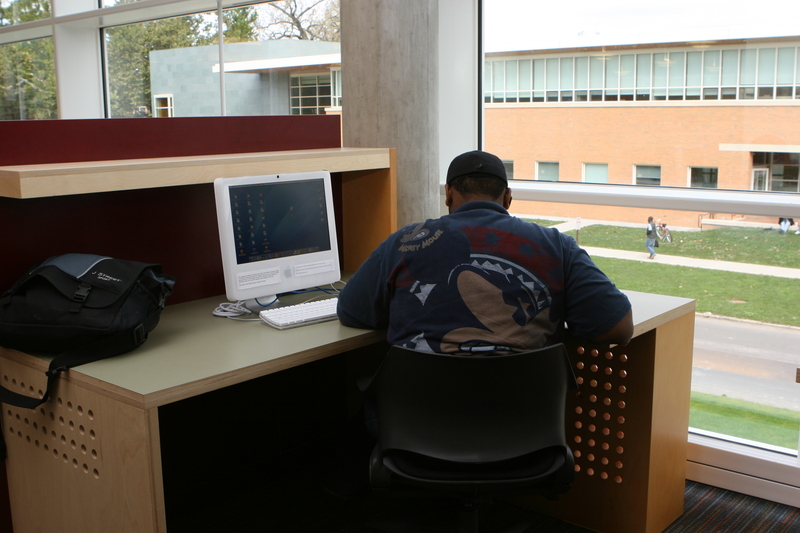 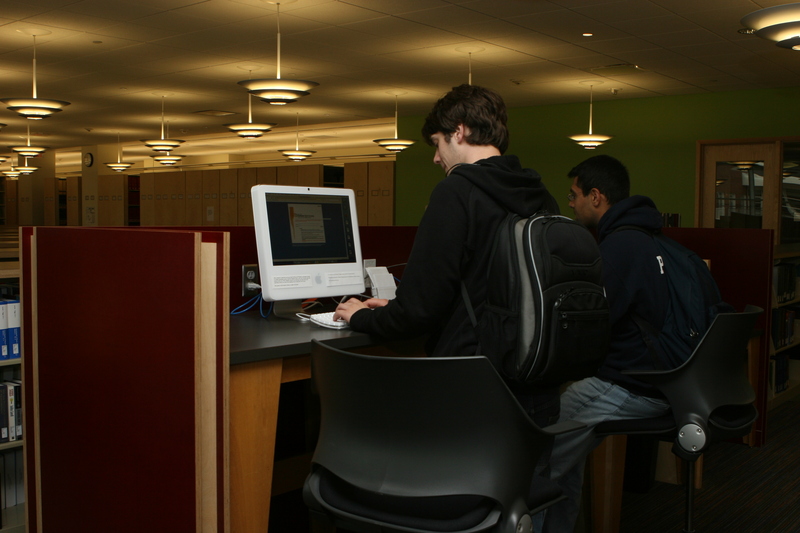 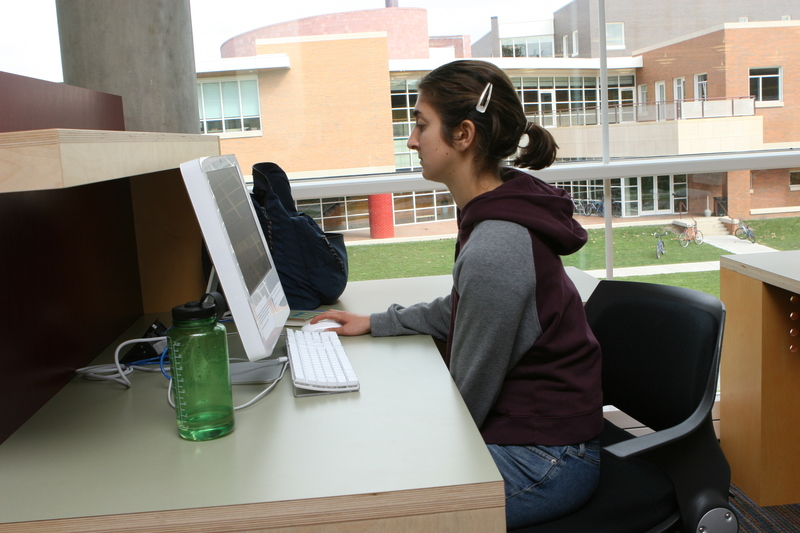 The CS Open Lab provides an environment for students work work on homework and individual projects. 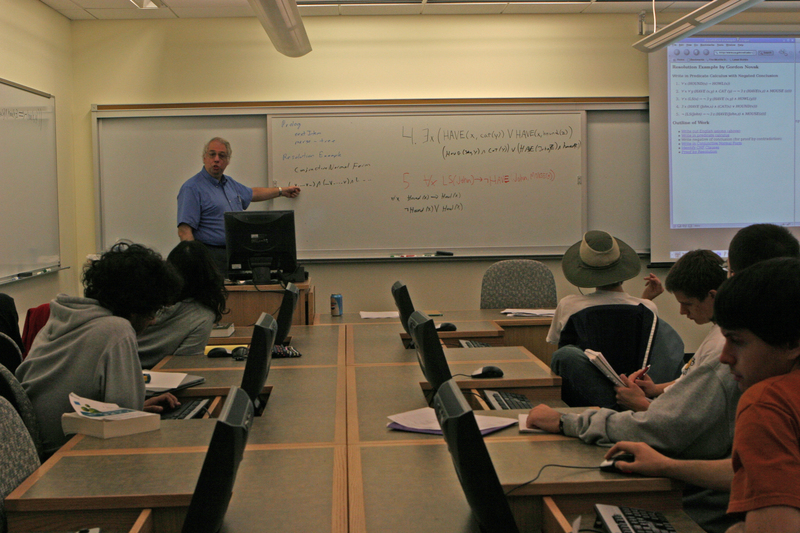 Few classes are scheduled in the CS Open Lab, so students can use the lab during most of each day. 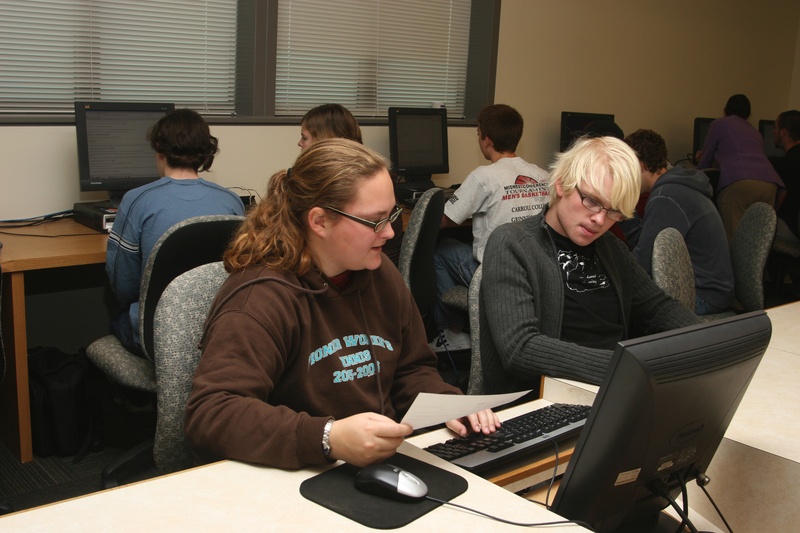 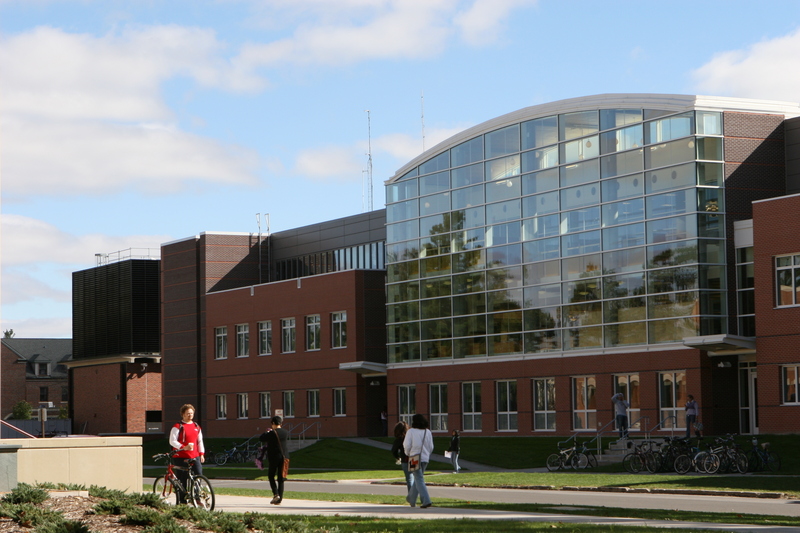 A typical schedule has the lab open by 7:00 or 8:00 each morning on weekdays, and undergraduate Technology Consultants (TCs) keep the lab open until midnight or 1:00 am during most of the week. 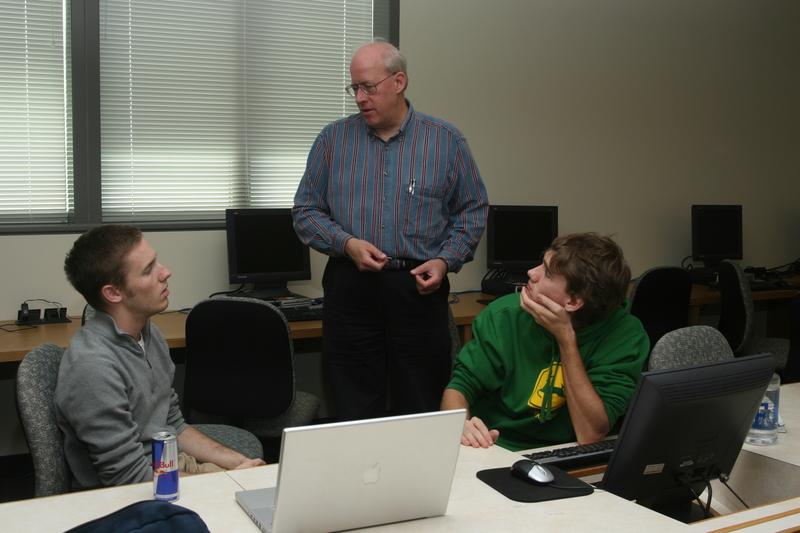 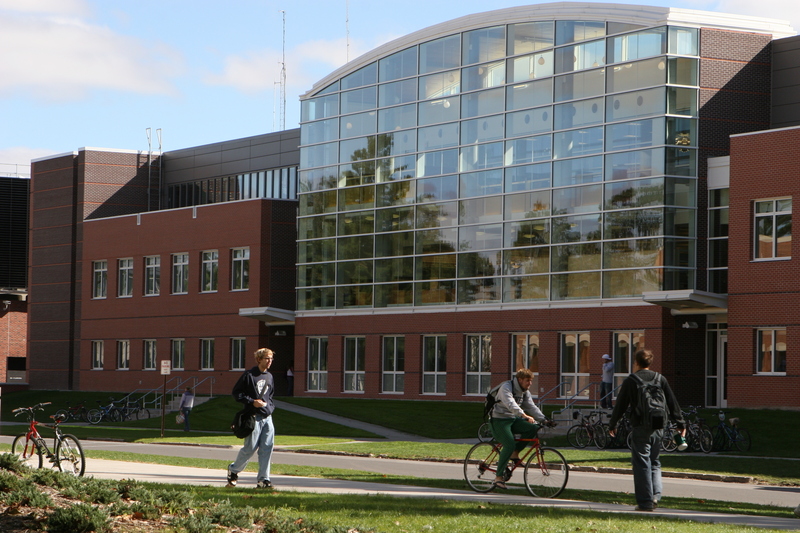 The department also works with the TCs, so they can provide basic assistance on the various software packages used in most computer science, mathematics, and statistics courses.